I’m writing this blog for my “peeps.” You know who you are. You’re the ones who wore a real Davy Crockett coonskin cap and owned an original Whammo Hula Hoop. You remember the Beatles on the Ed Sullivan Show. If you weren’t at Woodstock, you probably lie and say you were. The sixties is now not just your favorite decade, but also the age on your driver’s license. No, I don’t know how it happened, either. Here’s what else happened while we were growing older: we raised independent kids, a lot of whom bring your grandchildren to the library. We may live in North Jersey, but our kids went to college all over the country and followed their dreams to Los Angeles, San Francisco, Boulder, or Austin. Sometimes, they followed their dreams to a whole other country which means you don’t get to see your grandkids very often. Now, it’s just as likely that, if you’re reading this column, you are not the grandparent but the wandering offspring. Have you called your parents lately? I just had to ask. I promised your parents. Anyway, it’s not like you can run next door so that your parents can read a bedtime story to their beloved grandchild. And that’s where the Internet comes in. Even grandparents know how to Skype, now. We may not be crazy about how we look on camera, but that doesn’t mean we won’t go on-screen to share some time with a distant and beloved grandchild. So, why not turn it into an occasion for book sharing? I’m about to give you a way for intergenerational sharing, but mainly aimed at little kids. However, consider that talking about books online doesn’t need to be restricted to children, ages 3 to 7. Ever since Harry Potter and The Hunger Games arrived on the scene, it’s not at all unusual to find adults prowling around the Children’s Department looking for a book that their grandchild has recommended to them. Instead of the awkward, “So, how old are you now,” telephone conversations that my parents used to have with my daughter, you can now discuss Katniss Everdeen and all the other dystopias your older grandchild is exploring. Meanwhile, if you have younger grandchildren, there are some reading alternatives that you might not have heard about. Readeo is a really cool book chat site. You can buy a subscription for $9.99 a month (or $99 a year) and share books with your grandchildren from the site. One subscription covers you and any and all of your grandkids. You don’t need a separate subscription for each household. Also, there’s an on-line chat function that allows you to discuss books with your young partner. Readeo’s collection of online titles allows you to share current licensed book characters with your reading buddy. A Story Before Bed is another service to explore for long distance reading. You can go online and record a book for your favorite child using the webcam on your computer. You won’t pay for the book until you’re satisfied with the product that you’ve created. After that, the book is available for your grandchild to access on their home computer, tablet, or even an iPhone. The choices of titles may be less familiar to you, but I recognized a number of them from our Hoboken Library collection. Most of you have probably already discovered Skype as a way of sharing books. This works best if both you and the child have a copy of the book, but with practice, you can probably hold the book up to the camera on your computer. You can start the conversation with your regular weekly updates, and then extend your visit with a selection of books to share. Time the call to evening in your grandchild’s time zone and you will have the joy of reading your child a bedtime story, perhaps even one you used to read to their parent. 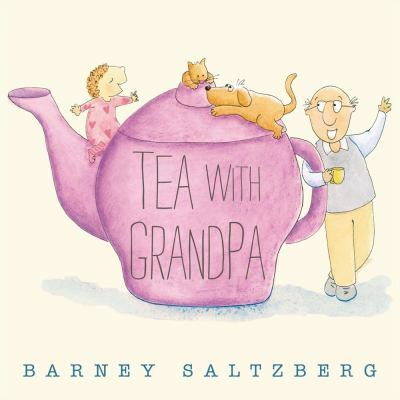 Tea with Grandpa, by Barney Saltzberg. The child in the book rushes home from school for her standing 3:30 date with her grandfather. They talk, share tea, and read books. The catch is that Grandpa is talking to the child by Skype. 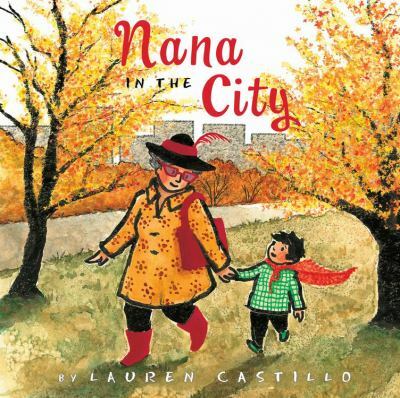 Nana in the City, by Lauren Castillo. The little boy in this book is visiting his grandma in the big city where she lives. He’s not at all sure that he likes the city, or that he thinks it is a safe place for his grandmother to live. Nana, however, has a solution to his concerns. She provides him with a cape that confers superpowers and he is a braver visitor from there on. 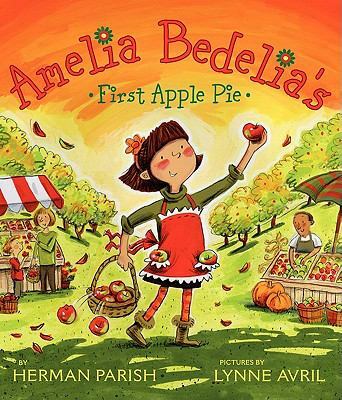 Amelia Bedelia’s First Apple Pie, by Herman Parish. You may be familiar with Amelia Bedelia as the literal-minded maid who makes many mistakes because she doesn’t understand colloquialisms. Now we have a much younger Amelia, still plagued with literalism, who is visiting her grandparents. She wants to make an apple pie but, with her usual problems, her efforts are fraught with problems. Don’t worry. It all comes out well in the end, and the apple pie is delicious. 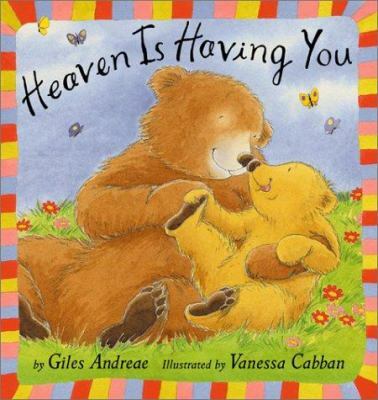 Heaven Is Having You, by Giles Andreae. Grandma Bear believes that heaven is all around her every day. She also knows that the very best example of “heaven on earth” is having her small bear grandchild with her. 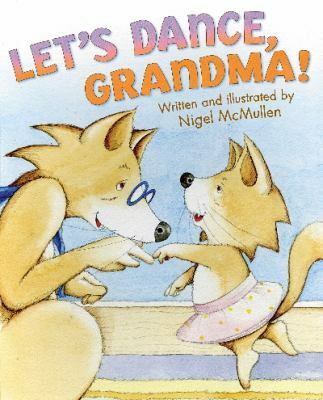 Let’s Dance, Grandma!, by Nigel McMullen. Lucy loves to dance, but she is happiest when she is dancing with her grandmother. 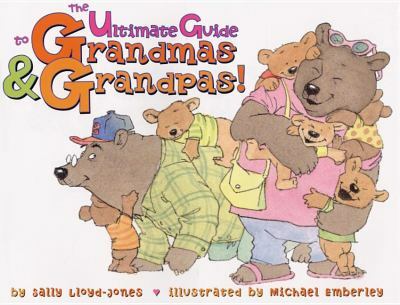 The Ultimate Guide to Grandmas and Grandpas!, by Sally Lloyd Jones. This is a book for kids about the care and feeding of grandparents. It suggests ways to keep grandparents entertained by giving them special treats, singing to them, and dancing with them. 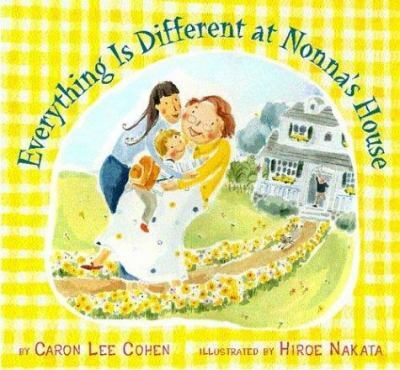 Everything is Different at Nonna’s House, by Caron Lee Cohen. A young boy lives in the city while his grandparents live on a farm. Their living environments are very different. The one unchangeable thing is how much the boy’s grandparents love him, whether in his city or their country. Don’t sacrifice the experience of shared reading just because you live far from your grandchildren or your grandparents. The library and other online resources make it possible to keep the lines of communications open, wherever you live. I Skype with my grands and read to them. My granddaughter is 5 so we do picture books. Her Mom takes her to their local library in CO, takes a picture of the books laid out on the floor and sends it to me. I then order the same books from my local library system in FL. When it’s time to read we have the same book. She thinks that is amazing! I have a bell to ring when it’s time to turn the page. My grandsons are 13 and 11. I don’t know how long this will last but, while it does, we are reading some classic lit for middle graders. Actually it is the older one who gets most caught up in the story. With the time difference we can only fit in a couple of chapters at a time. It seems like forever to get through a book! We are making memories.